You are probably planning for the summer busy season. 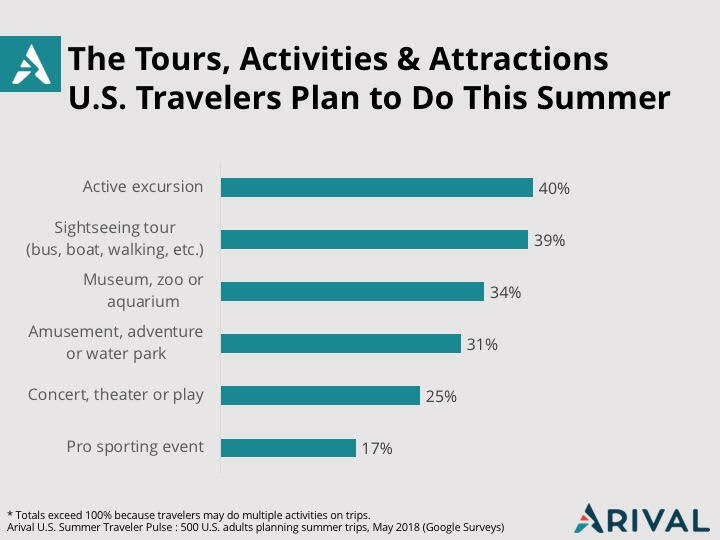 At Arival, we thought it would be valuable to know what types of Tours, Activities & Attractions travelers are planning for their summer trips. So we conducted a consumer pulse survey (500 U.S. adults planning a trip this summer) to help give you an edge going into what for many of you is the all-important busy season. Here are the results. 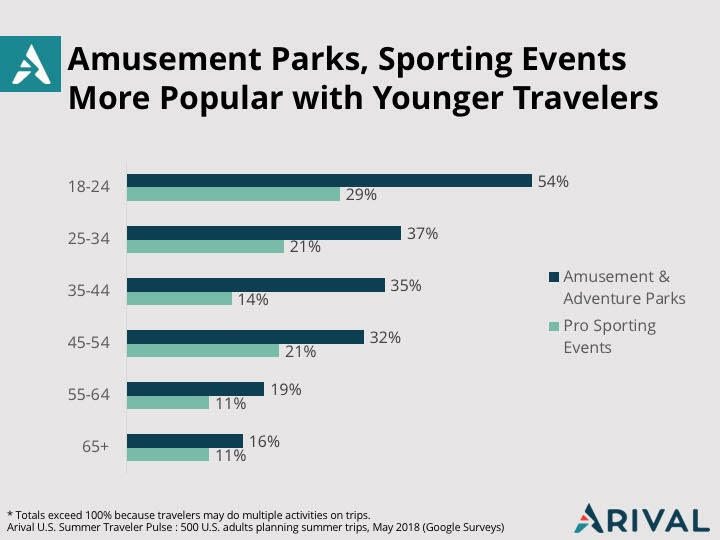 Look for more Arival Insights as we release the full results from our Summer Travel Survey in the coming weeks.